Many clients now prefer to use a banner fabric that has a less environmentally negative effect than pvc. Early attempts to solve this problem resulted in stiff, plasticky finished banners that looked cheap & tacky. We are able to offer a 100% recyclable, polyolefin coated high tenacity polypropylene fabric that performs as well as pvc but without the harmful side effects. 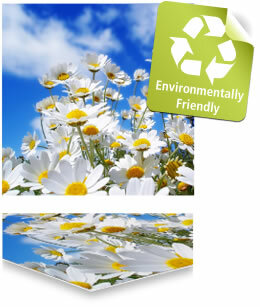 Ring us today to discuss you environmentally friendly display requirements on 01726 893129.